Vedic spirituality has a lot to offer. Relationships, especially long term relationships which are much coveted these days, Vedic spirituality has it in its store too. What are we looking for in any long-term relationship? In our lives we need both certainty and uncertainty. If there is a lack of certainty, we are paranoiac; if there is a lack of uncertainty, we are bored. So when it comes to life-long or even long-term relationships, the same holds true. We need both certainty and uncertainty for the relationship to sustain. Practicality may forbid us from importing an ancient culture. Nonetheless, to explore an ancient culture would be interesting. Free mixing of men and women, even of husband and wife, was taboo in the Vedic civilization! Why? Numerous reasons. Some of them may sound logical and others downright illogical – to an intelligence honed in a different culture. But what a profound effect such distancing of men and women had on long-term relationships. 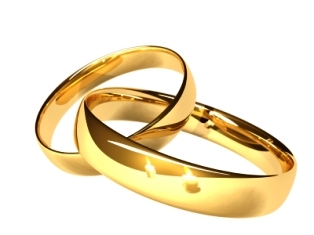 The institution of marriage provided for the need of ‘certainty’ in the relationship: security, predictability, safety, dependability, reliability, and permanence. And the culture provided for the need of ‘uncertainty’ in the relationship: adventure, novelty, mystery, risk, danger, the unknown, the unexpected, and surprise. The husband yearned for a surprise encounter with his wife in solitude, while he wore a non-romantic mask amid the family hubbub. The wife felt an air of mystery around her husband, even as she perfectly knew of her husband’s mischievous and secret yearning for her. The relationship grew in intimacy and freshness day after day, for an entire life. I had the good fortune to see my grandparents through their 40th wedding anniversary. 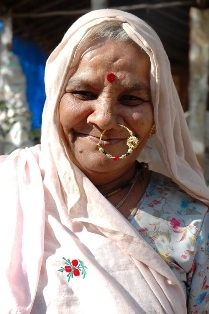 They spent their life in a joint family in an Indian village, and were wonderful parents to their seven children. Even as they blushed in each other’s presence more than ever, even after 40 years of marriage, the intimacy they shared was rare. The Vedas facilitate earthly love and happiness in long-term relationships. In the same breath they say that this is not the highest happiness one can aspire for. And ultimately, they say, even these long-term relationships will end with death. Unbound happiness can be found only in a relationship with the supreme, a relationship that does not terminate with the body. The process of bhakti teaches how to reawaken that longest-term relationship with God that lays dormant in our heart, even as we joyfully live in this world with our temporary long-term relationships. At the pinnacle of perfection on the path of bhakti, a devotee experiences a relationship with Krishna, or God, that’s absolutely certain and absolutely uncertain simultaneously. This spiritual ambivalence plunges the devotee in an unbound ocean of happiness. It’s something similar to what a child experiences when the loving father gently throws the child in the air and catches her. 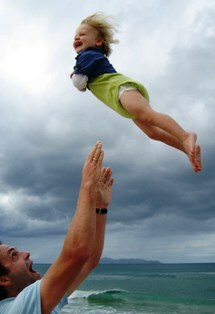 In mid-air the child is certain of her safety, for she knows her father will catch her. While simultaneously, the buoyant sensation gives a feel of uncertainty. The combination makes the child happy, and she looks forward for the next throw. A devotee is absolutely certain of Krishna’s love and gives the full love of his or her heart to Krishna. And Krishna, to enhance the element of uncertainty in the relationship, reciprocates in novel, mysterious, unknown or unexpected ways. We moderns become paranoid when we are told to choose a partner for a long-term relationship. We are afraid to make a wrong choice. And that’s what makes us paranoid about developing a relationship with God. We are getting into an eternal relationship; what if we eventually discover that he is not to our liking? God, in his infinite kindness, allows us to first try him out. Sadhana Bhakti is all about trying out with Krishna, or God. And whoever tried him in history discovered that he is the perfect lover who knows the perfection of blending certainty and uncertainty for a perfect long-term relationship. In the below audio clipping, Radhanath Swami describes the perfect love that Krishna shares with his lovers in his own abode, Vrindavan. 4 Responses to "Towards a Perfect Long-term Relationship"
Wonderful article explaining very nicely the concept of certainty and uncertainty in a relationship. God, in his infinite kindness, allows us to first try him out. Sadhana Bhakti is all about trying out with Krishna, or God. And whoever tried him in history discovered that he is the perfect lover who knows the perfection of blending certainty and uncertainty for a perfect long-term relationship – such wonderful realizations! It is very Inspiring to me.